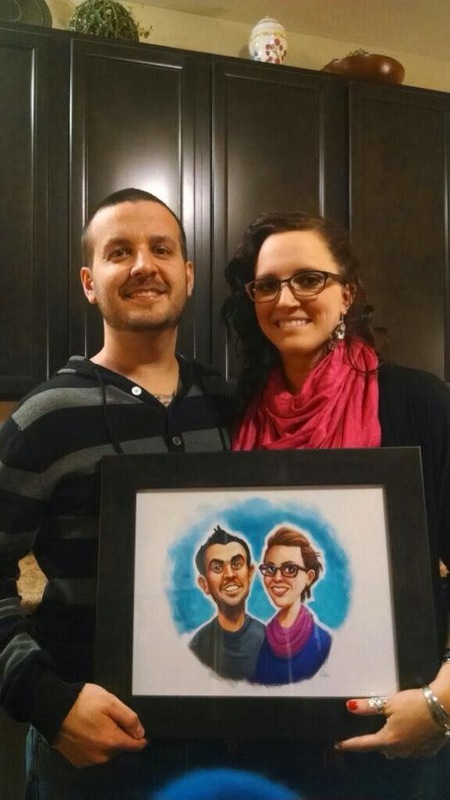 I know I'm a day late but I wanted to give my friend the time to give his Valentine's Day gift to his special lady. 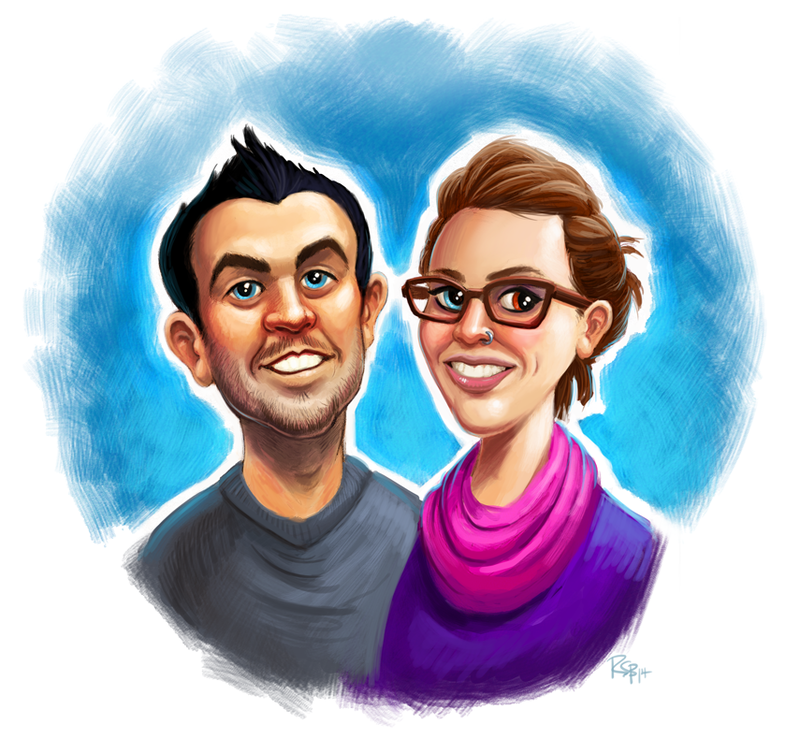 He commissioned me to create a caricature of him and his girlfriend. I've actually never done this before but I thought my stab at it went pretty well. I wasn't going to go for a rendered look at first but I found it actually easier to paint it then to lay in flats. Go figure. 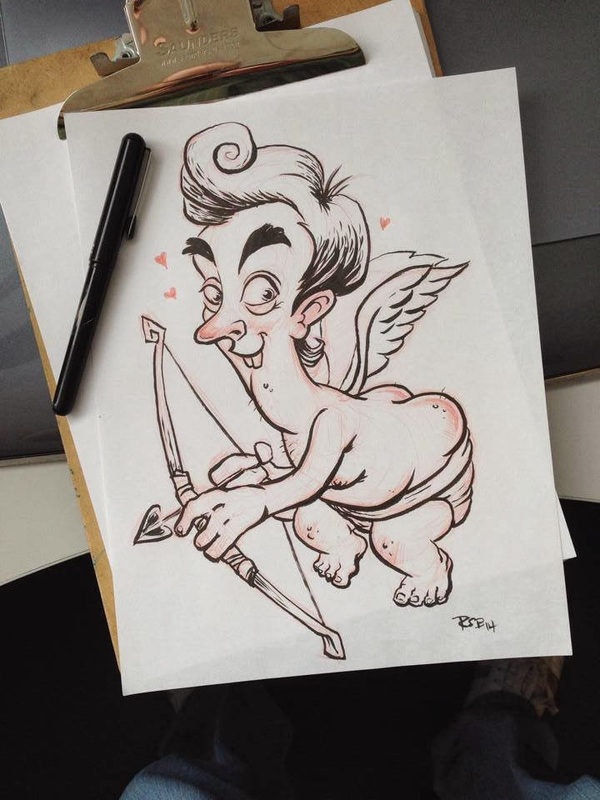 I've also tossed in a creepy cupid sketch above just for good measure. :) I hope all of you had a great holiday regardless! See ya next week and keep being awesome!